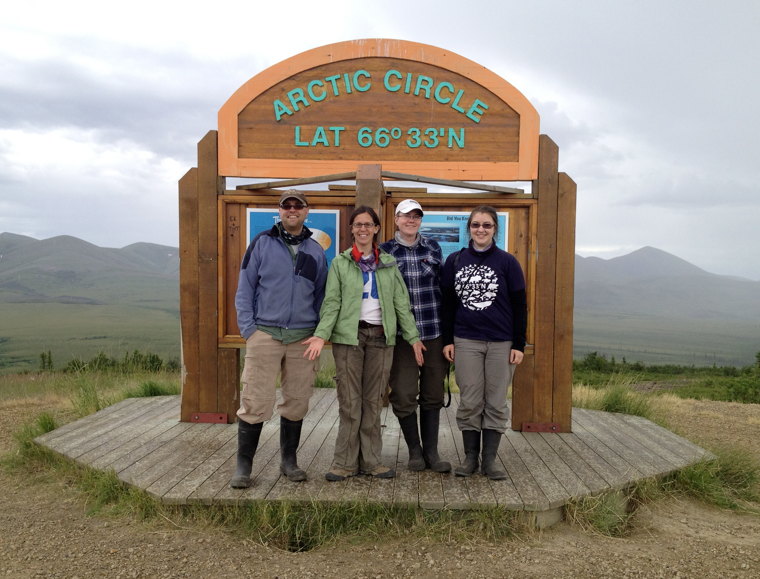 As my colleague Terry Wheeler mentioned on his blog, our Northern Biodiversity Program team is thrilled to see post-doc Laura Timms‘s paper about Arctic parasitoid wasps published in Ecography! Our team worked on Ellesmere Island, Nunavut, in 2010, and compared parasitoid wasps to historical collections from the same site that were made in 1961-65, 1980-82, and 1989-92. Parasitoid wasps are at the top of the insect food chain: they lay eggs inside or on top of other arthropods and the wasp larvae emerge after consuming their hosts – a gruesome but very common lifestyle for many types of wasps. Species at higher trophic levels, such as these parasitoid wasps, are often the first to respond to new environmental pressures, including the climate change that is occurring rapidly in Arctic systems. Laura identified a LOT of wasps, recorded the type of host attacked (e.g. plant-feeding hosts versus hosts that are predators), and the body size of two species of wasps that were commonly collected in all time periods. We found no clear pattern of change in most aspects of the parasitoid wasp community on Ellesmere Island over past 50 years, even though temperature and precipitation have increased significantly during the same period. However, there were some signs that parasitoids of plant-feeding insects may be more affected more than other groups: one common parasitoid species that was abundant in 1960s hasn’t been collected since then, and the community in the 2010 study contained fewer parasitoids of plant-feeding insects than previous studies. Laura takes it as a good sign that no major changes in the ecology of the high Arctic parasitoid community have been observed, but isn’t taking it for granted that the community will remain unaffected for long. At 82°N, Ellesmere Island is relatively isolated, but other research has found that parasitoid communities further south are changing dramatically (Fernandez-Triana et al 2011).